It’s easy to get caught up in the many different ways to promote your hotel, and, equally, it’s possible to waste time and money on things that are relatively ineffective. For independent hoteliers, there simply isn’t the bandwidth to cover every possible opportunity or channel for guest engagement when it comes to marketing your hotel. With that in mind, there are five key areas that offer the greatest exposure and results, and should form the marketing foundation of any hotel. These foundations rely on both online and offline channels, and by effectively engaging in each, you will be able to attract, reach, and convert an increased volume of travellers in a relatively cost-effective manner. One of the critical digital channels for hotels to take advantage of is online travel agents (OTAs). They provide hotels with an invaluable marketing tool, in simply listing the hotel as part of its inventory. Yes, your hotel will be competing with a large number of others on sites such as Hotels.com or Booking.com, but when 52% of travel consumers online discover your hotel’s website through an OTA, and 76% of online travel bookings are made via them, this is a massive potential audience that you’re missing out on by not being on these platforms. Taking things one step further; it’s a good idea to also be listed on metasearch engines, such as TripAdvisor, Google’s Hotel Finder, and Trivago. These channels simply provide a guest with a link to click on, and don’t handle the booking themselves, but they further enhance your hotel website’s visibility online. These can’t be the only online presence that you have – only 1% of visitors on metasearch engines click through to websites, and only 6% to 9% of visitors do so via OTAs. Despite this they are an essential part of the online marketing mix. Of course, through OTAs and metasearch there are commission or referral fees involved, which cut into your hotel’s margins. By developing a strong hotel website to take direct bookings, also known as Brand.com, you will realise better margins, simply by being able to pocket these commission fees. 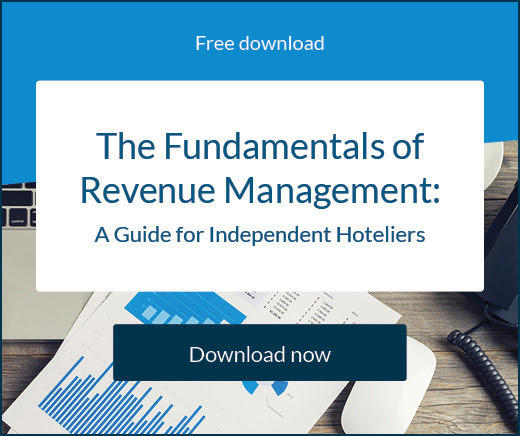 Data from SiteMinder’s free eBook – How to diversify your hotel’s distribution strategy – shows us there was a 9.1% increase in Brand.com bookings in 2014 and that figure is growing. For your website to be effective, it needs an online booking engine (also know as an internet booking engine, or IBE), that can accept reservations in a way that the customer is comfortable with. This can be an investment to implement, as e-Commerce solutions don’t always come cheap, but there are effective solutions out there for an affordable price, including SiteMinder’s TheBookingButton. 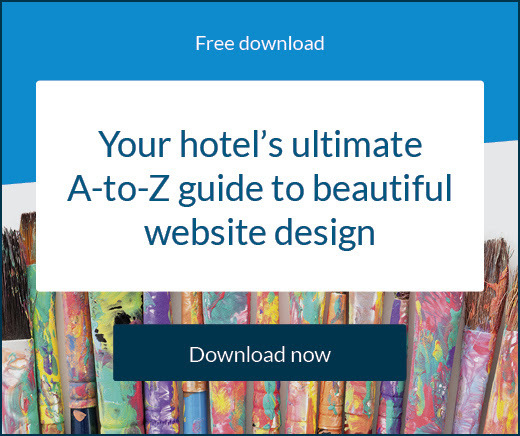 Take a look at these beautiful hotel websites created by SiteMinder’s Canvas – there’s The Tropical Paradise and The Metropolis – or read our free guide ‘Your hotel’s ultimate A-to-Z guide to beautiful website design’ produced for hoteliers featuring helpful advice on how to make your website stand out from the competition. 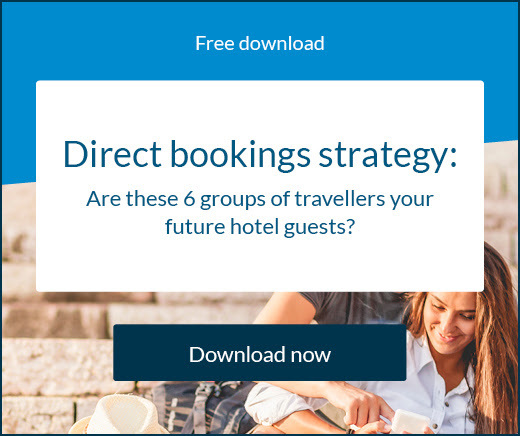 SiteMinder’s free eBook – How to diversify your hotel’s distribution strategy – shows that mobile bookings are expected to account for 38% of online travel bookings by 2018. While it’s grown rapidly from a very small base, it’s worth taking the necessary action in developing a mobile-friendly website and booking platform in order to prepare for the years ahead. Mobile websites have different requirements to what we see on PC and desktop websites – they need to be faster loading and have a different user interface, so don’t assume that your existing desktop-designed website will be sufficient. And while you’re in the process of modernising your digital engagement with your customers, start to develop a social media presence. A full 22% of US travellers used social media to look for travel deals, and it’s a conversation you’ll want to be a part of, as it allows you to develop a two-way communication with your audience. Facebook allows you to make bookings through its platform using an internet booking engine such as SiteMinder’s TheBookingButton. Developing a robust social media presence can take time, as a lot of the growth does need to be organic, so, as with a mobile website, it’s worth making the investment now for the future where social engagement becomes even more critical. Offline, it’s important to still offer a quality voice reservation service. Even in countries where voice reservation is in decline (such as in China, where it now sits at just 10% of all bookings), it’s still a key service that customers – particularly older generations – demand. ‘Direct to property’, meanwhile, refers to interactions with the customer directly to your brand, be that over the phone or by email. Being able to facilitate bookings through this channel allows you to control the relationship with the customer and save the commission expenditure. Answering queries quickly and comprehensively will also help your guests to feel good about their interactions with your hotel, in turn helping to boost your reputation. Wholesalers fulfil a vital cog in the system by helping to keep your hotel at capacity. They act as the intermediaries between the travel agents, and businesses such as yours, by taking on a nominated amount of your room inventory (typically at a reduced rate), and making it available to the customer-facing agents. Making good use of wholesalers is a vitally important way to ensure travellers booking through offline suppliers are able to access your product. Tour operators, meanwhile, will package a stay in your hotel with other products in order to provide an end-to-end experience for the guests. It goes without saying that it’s beneficial to your business to be a part of as many “complete packages” of airfares, hotel stays, car hires and tours as possible. It’s a relatively low-margin operation, as guests will expect a discount on each individual product when they book a tour, but it’s also an initiative that is very ‘hands-off’ from your perspective, providing good exposure for minimal effort.